Exploration is an essential element of innovation. Trips into the world beyond the four walls of the office provide the Fahrenheit 212 team with unique perspectives, and the ability to look at a challenge with refreshed and inspired eyes. Innovator's Itinerary is a series of recommended destinations around the world for innovators everywhere. We hope that with these tips, you will go out and get inspired, too. This week, we present destinations from Spain, Texas, and Scotland. This past March, I visited Barcelona and Mallorca, Spain. Having been to Barcelona once before, I knew generally what I wanted to do and see, and where I wanted to stay. It’s hard to go wrong location-wise, but I highly recommend staying in the Gothic Quarter for a number of reasons. First, it’s a highly active area of the city with many excellent restaurants and bars and a generally consistent energy. Second, much of the neighborhood is pedestrian-only, which makes for some very enjoyable aimless wandering. It’s also within walking distance to the Mercado de la Boqueria, where you can get any kind of typical Catalan meat (jamón! ), fish, or produce — it’s a must-visit. But one of the truly unique aspects of Barcelona is the abundance of Gaudí architecture which can certainly be described as “innovative.” Visiting some of his largest public works feels like walking through the imagination of a mad man (in the best way possible). Two must-sees on this itinerary are La Sagrada Familia, Gaudí’s still-unfinished cathedral that resembles a drip-sand castle (take the Tower tour on the Nativity façade), and Park Güell, a wonderland-esque landscape covered in brightly colored mosaic tile at every turn. Buy tickets ahead online for both. Then plan your walks to lunch and dinner so that you pass his apartment buildings that look like they’re melting in the sun, Casa Milà, Casa Batlló, and La Pedrera, to name a few. The food in Barcelona is uniformly delicious and above average quality, but you’ll find yourself eating a couple of extra meals each day to tide you over until the typical 10:00pm (or later) dinner time. Some highlights are Tickets, Bar Mut, Dos Pebrots, and Bar Cañete. Take any opportunity you get to have the jamón Iberico. Transitioning to Mallorca, we discovered that March was the perfect time to go for the lack of crowds. PMI (the Palma de Mallorca airport) is the third busiest airport in Europe, entirely because of the summer months when the island is flooded with wealthy vacationers, but when we were there it was quite empty. 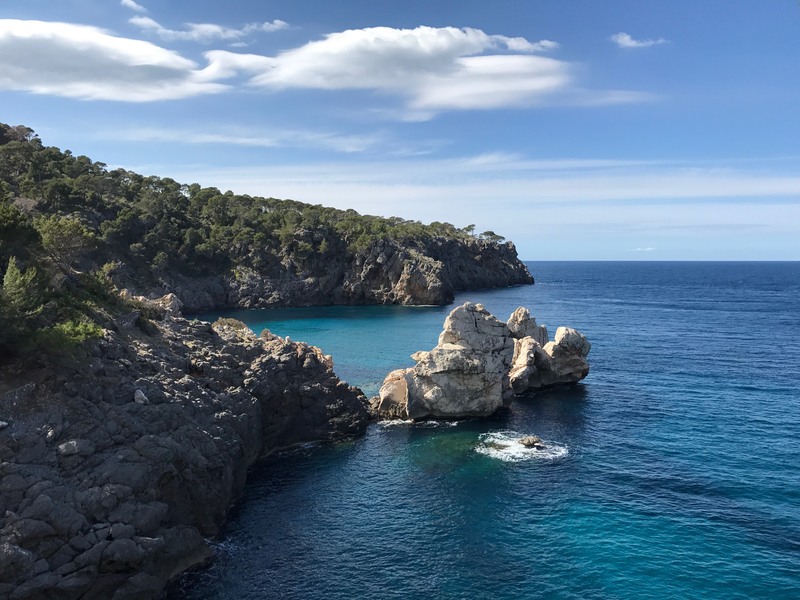 Mallorca appealed to us because of its famous Serra de Tramuntana mountain range, running the length of the North-West coast of the island, and the incredible hiking and views throughout the mountains, and it didn’t disappoint. We also quickly learned that Mallorca is the preferred location for professional cyclists to train because of its consistently good climate and its mountainous roads. The roads are also very narrow (sometimes not wide enough for two cars), which makes for some seriously tricky driving pretty much any time you leave one of the main highways. The island is also home to some surprisingly good vineyards which are worth a visit. Generally speaking, early spring is an ideal time to visit most Mediterranean destinations because the weather is reliably beautiful and it’s not yet tourist season. It makes for easy, comfortable travel and a relative lack of crowds. The last time I was in Austin, Texas I was lucky enough to stumble into Empire Control Room & Garage, the auto shop-turned-performance-venue on East 7th Street late one Sunday evening. Microphone feedback resonated through the rooms from the tail end of Mud Magazine and Heard Entertainment’s annual SouthBoiled crawfish fest and music showcase. The all-you-can-eat crustaceans had long been picked over by the time I arrived and the ice in the industrial beer coolers had mostly turned to water. I fished around for one of two second-tier beers left floating in the bins. I had heard of precisely zero artists on the bill for that night, but I was immediately struck by both the high level of talent on display and by the thin crowd, which felt inappropriate given the former. First up was celebrated local hip hop outfit Magna Carda. 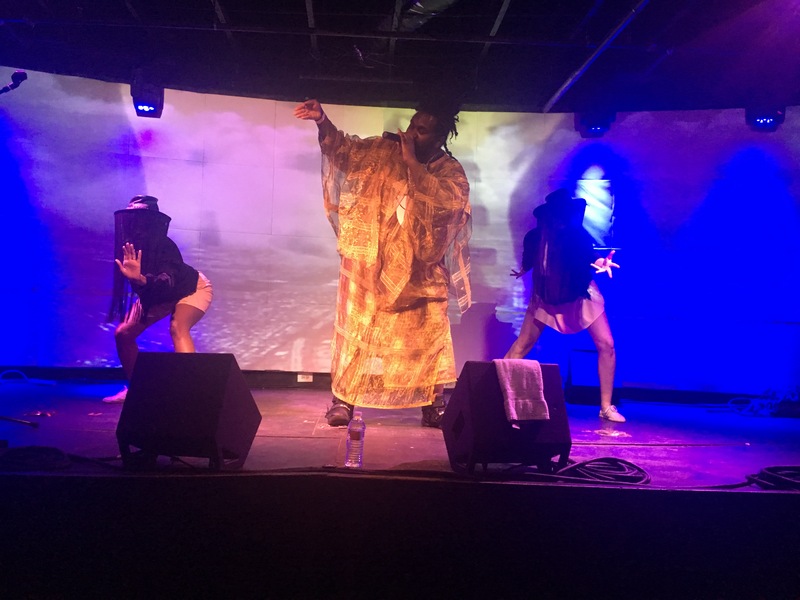 Stunning frontwoman Megz Kelli was followed by rapper Madame Gandhi (who earned fame as M.I.A.’s drummer) in the Garage, and genre-bending Tunde Olaniran in the Control Room flanked by two too-cool backup dancers. None of them drew an audience of more than 30 people. But rather than feeling like I’d missed the party, this was a welcome departure from the crush of sold-out shows in New York City and the long entry lines of big-name SXSW events. Every one of those 30 audience members was wildly appreciative of the artists on stage, lending the whole production a hard-to-describe feeling of community and optimism. Then, after their sets, the artists themselves each joined the crowd to listen to and support the next act, too. A friend caught Olaniran’s dancers and congratulated them on their set and inimitable swag. I found Megz Kelli fangirling over Madame Gandhi’s performance. Last up was Dallas-born Zach Witness, sometime-producer for Erykah Badu, who played his self-described love letter to Andre 3000 complete with a backing choir and floor-to-ceiling psychedelic visuals. Madame Gandhi stood quietly in the back, admiring the instrumentation. It was only afterward that I realized these sorts of events are a point of pride for Empire, which holds itself out as a music space “dedicated to presenting warehouse-style events that feel more like adventurous discoveries than everyday affairs.” If this year’s SouthBoiled was any indication, this is a mission they roundly deliver on. Next time you’re passing through Austin, make a point of stopping by. Empire is one of those rare places certain to produce an experience that feels entirely unplanned. This spring, I visited Edinburgh, Scotland, a top destination for innovators because of its uniquely human approach to living in the modern age. First and foremost, the city has long embraced “minimalism”, a lifestyle that celebrates living with the means one needs, work/life balance, and time outdoors. 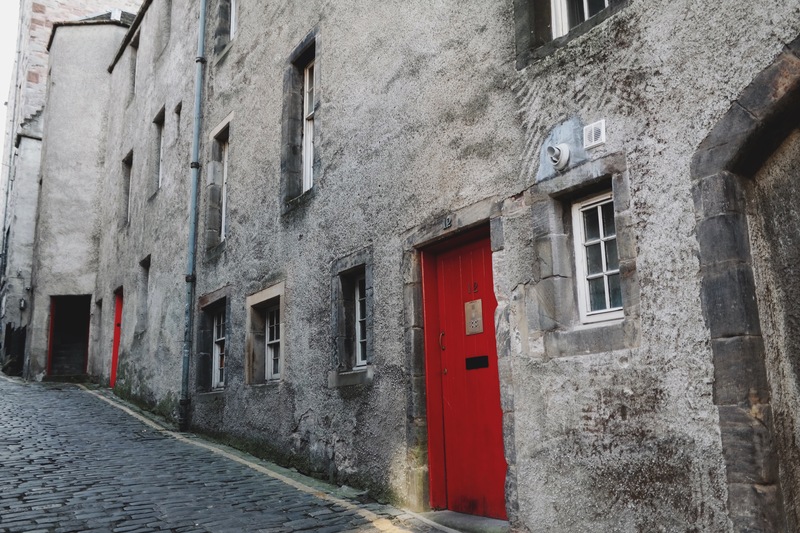 * As if by magic (Harry Potter WAS written there), the Edinburgh minimalist lifestyle transforms the clutter in the mind into clarity, creating space for a special kind of calm. Secondly, while Edinburgh's more moderate pace of life contrasts from the lightening-fast innovation centers like San Francisco, New York, and London, it is no less innovative. People walk slower, take more time to appreciate their morning coffee, enjoy more manageable working hours, and spend more time outdoors and with friends — and they're happier than most. To me, the combination of living a minimalist lifestyle at manageable pace are the ideal conditions to feel wonderful and at my most creative — which is why I love it there! Edinburgh revolves around dramatic scenery and historical buildings. As the greenest city in the United Kingdom, Edinburgh blends city with nature at every turn. Check out Holyrood Park for a hike, a park in the center of the city composed of 650 acres of hills, lochs, glens, ridges, crags, and cliffs. St. Margaret's Loch, located on the east side of the park, is the perfect place for a quiet picnic. I also recommend the Royal Observatory for a breathtaking alternative view of the entire city. In between park hopping, check out stunning Old Town, composed of Medieval closes (narrow alleys in between buildings), churches, and cobblestone streets. I also recommend the more residential neighborhoods of Marchmont, Bruntsfield, and Morningside for interesting 19th century architecture. Spoon, and Fieldwork. All are peaceful, beautifully and minimally designed, and have great coffee and pastries. If you're looking for an evening drink, visit Under the Stairs, a quiet cocktail bar in Old Town, or Brew Dog on the Cowgate for board games. Edinburgh also has tons of great book stores. Go to West Port (just off the Grassmarket) to explore several vintage/used book stores. Waterstones in the West End is the ideal place to read a new book with a view of the famous Edinburgh Castle, as well. Above all, I recommend that you walk as much as possible! Everything is accessible by foot, and you'll get a better sense of the city by slowly exploring it. *Among others – I do not intend for this definition to be all-encompassing of the minimalist movement.